For several years, we have partnered with an Atlanta designer to add aesthetic features to our projects. This has resulted in a unique blend of quality exterior home improvement with elements that are pleasing to the eye. Our staff is continually trained in updated installation procedures and product information, and we use quality materials that will stand the test of time. Whether you are looking to build a brand new deck or rehabilitate one that has seen better days, we can get the job done. Our experience with home improvement in McDonough GA, Fayetteville, and other surrounding areas qualifies us to deliver an outcome that will allow you to enjoy premium outdoor living. All work is completed with high-quality materials such as designer composite decking to ensure long-lasting benefits. Whether you need to upgrade an existing deck or build a brand new one, we offer several options that will provide a sturdy and attractive area where you can enjoy the outdoors. 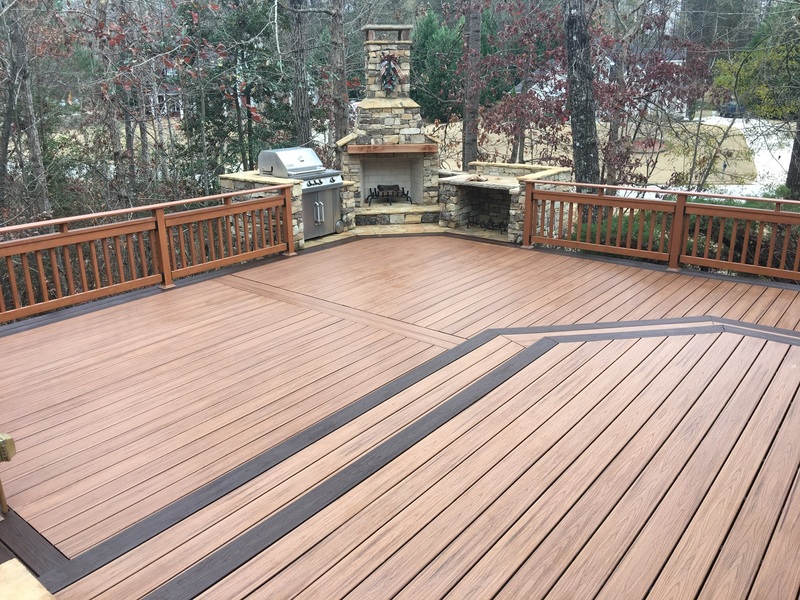 In addition to having a place to barbecue or visit with friends and family, decks can significantly increase your property value. Our goal is to customize your deck and build a space that you will enjoy for years to come. If you are looking to add character to your home by creating an outdoor living space, give us a call today at (770) 282-3700, or fill out our convenient online form. We can help with anything from roofing in the McDonough GA area to deck refinishing in surrounding Atlanta areas. We hope to hear from you soon!